so i haven’t played jetman for a while and now i tried to break my old record of 2,707 from november 30, 2007. i finally broke it today with 3,571 and it froze on my so my record is not recorded. :(. 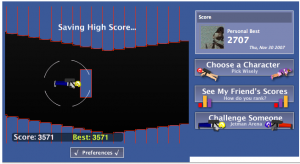 This entry was posted in life and tagged facebook, game, jetman, record on August 14, 2009 by blacknred0.